BRUCE Jenner reportedly had surgery to reduce the size of his Adam's apple over the weekend and was spotted trying to cover up his bandages. The former Olympic gold medallist, who announced his split from Kris Jenner after 22 years of marriage in October, was spotted leaving The Beverly Hills Surgical Centre in Los Angeles with bandages on his neck on Sunday , where he underwent a Laryngeal Shave to smooth out the lump in his throat after having a consultation for the procedure in December. A source told the National Enquirer that the 64-year-old 'Keeping Up with the Kardashians' star decided to have the surgery to reduce the size of his Adam's apple. 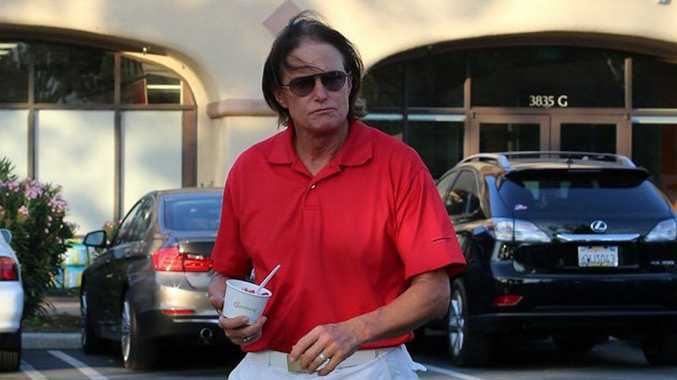 Bruce attempted to cover up the bandages under his chin while leaving the clinic by zipping up his Nike blue top. In mid December he insisted that he hadn't decided whether he would undergo the surgery, which is typically done on patients who are in the first stage of gender reassignment, but said: "I just never liked my trachea." Bruce, who has six children, including models Kendall Jenner, 18, and Kylie Jenner, 16, and four stepchildren, including Kim Kardashian, underwent a procedure to remove cancerous cells from his nose in September. The retired athlete also went under the knife in 2009 to fix a botched nose job and partial facelift he had in 1984, which was documented on his family's E! series.